The House of Lords’ newest nurse member has high hopes for her role, reports Sophie Blakemore. 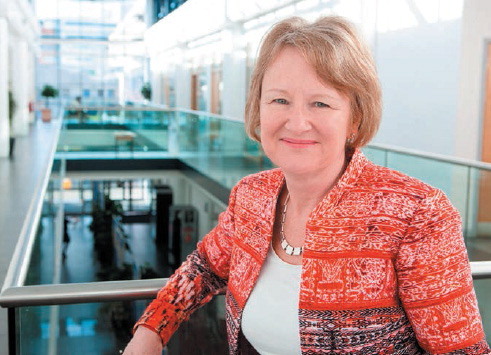 Mary Watkins will join the House of Lords as its fifth nurse peer. She has almost 40 years’ experience in the NHS and higher education, which she intends to use to influence healthcare and education policy to improve the lives of people with dementia and their carers, as well as children and nurses. She did not know at the time, but when Mary Watkins embarked on a nursing career in the 1970s, her areas of interest would be among the most pressing priorities for the health service four decades later. And she believes that this career-long commitment to mental health, dementia care and services for children with drug and alcohol problems contributed to her recent appointment as baroness on the crossbenches. Professor Watkins – she will not use her new title until she is formallly received into the Lords in December or January – admits being ‘excited yet daunted’ by the role. The priorities she wants to address as a life peer include influencing policy to improve nurses’ clinical career progression and better remuneration for carers. She also wants to ensure enough nurses are available in care homes and in the community to carry out assessments of people with dementia and support carers. Professor Watkins qualified as a nurse in 1976 and as a mental health nurse in 1979. She has worked in community, in-patient mental health and acute settings, providing non-emergency and emergency health care. In 1989, as part of her PhD, she set up the UK’s first night hospital for people with dementia, in Lambeth, to investigate whether the service enabled clients to stay in their own homes for longer. Retirement hasn’t slowed Professor Watkins down. She is a non-executive director of a housing association, deputy chair at South West Ambulance Service NHS Foundation Trust, chair of governors at a local school, and on the board of a charity for young people with drug and alcohol problems. ‘If you really want to promote good mental health you need sound housing and education, as well as health care,’ she says. She believes her selection will ‘bring balance’ to the House of Lords, following the death of nurse peer Baroness Jean McFarlane in 2012. Professor Watkins agrees with the Lords’ critics that more than 700 peers is excessive; she believes that appointments should be for a maximum of 15 years ‘so there is movement and the House can slim down’. But she also believes that her peerage can make a difference, which is why she accepted the post. ‘I am there for my nursing and higher education in health care expertise, and I hope to ensure that nursing has a continued strong voice in the shaping of social policy’.